Being on a new campus this fall means getting lost. Finding the right building is the easy part. Finding a staircase in the building is also fairly simple. But the real challenge is deciding if it is the correct staircase. Two sets of stairs in a double helix arrangement! We're probably all use to that with escalators, but stairs? 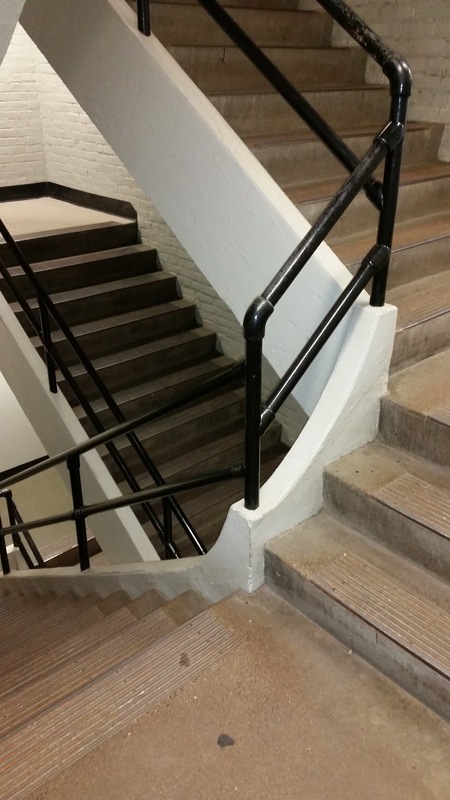 Worse, the two sets of stairs don't stop at all the floors, so you will often see students hop the handrails when they realize that the stairs they are in won't got to the floor they want, but that the other one will. As for me, I know how to get from my office to my classrooms and back. I'll explore more in the future when I have a lunch packed, a huge bag of bread crumbs and plenty of energy.